At the second European Rewilding Network webinar for its members, on July 8, there was an exchange of first hand experiences and inspirational stories from several rewilding sites about novel ways of building rewilding partnerships with hunting interests. Two presentations provided detailed information from different Bulgarian rewilding sites, both members of the European Rewilding Network. 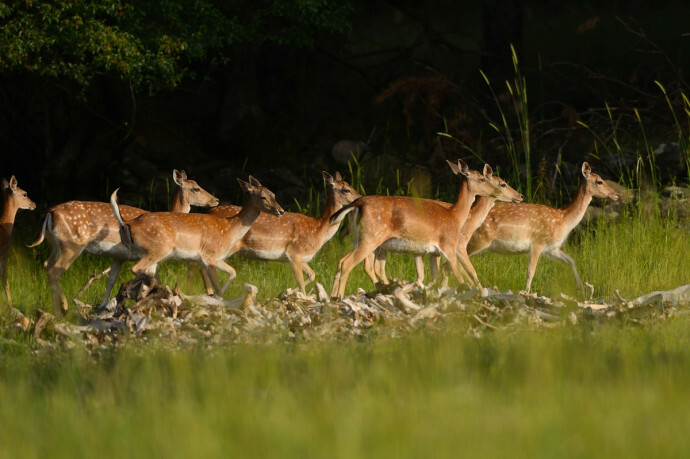 Frank Zanderink, project leader of the “New Thracian Gold” project, from the Eastern Rhodopes), passed on details on their hunter’s scheme, which is enabling a doubling of the numbers of reintroduced red deer and restocked numbers of fallow deer in the project site area. Stefan Avramov, biodiversity expert involved in the Eastern as well in the Western Rhodopes, addressed how wildlife species can benefit from sustainable hunting practices, in order to combat poaching and to enable habitat restoration for capercaillie. Besides the expertise from these two sites, the webinar participants added knowledge on aspects such as agreements on lowering hunting quotas, the creation of ‘no-take’ zones, the development of wildlife watching tourism and the communication dimension of these topics. Rewilding Europe believes that successful rewilding work in most areas requires good coordination and cooperation with the hunting sector, since hunting is present and has been an integral part of wildlife management in most parts of Europe. Therefore we try to connect and work all across Europe with the hunting sector at various levels. (Question 26 of our Frequently Asked Questions). Presently, the European Rewilding Network comprises of thirty-two members covering some 1,8 million hectares throughout Europe. It is an open network that encourages all inspirational rewilding initiatives to join in. We are looking forward to our next experience-sharing webinar among the members, which will take place in September. We find webinars to be very useful tools to actively share experiences, which is an important goal of this Network. 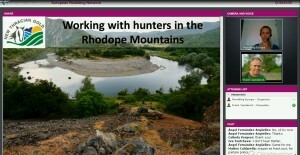 Participants from several European countries were present, and through them the webinar room contained rewilding experiences from more than 700,000 hectares, spread across the continent, many of them specifically involved in working with projects that have agreements with hunting entities about sustainable hunting, pilot projects that support one or more key wildlife species, and large or medium-scale rehabilitations of natural processes. We warmly welcome new members to the Network, as building a large database of knowledge about many kinds of rewilding experiences will be useful to all who want to Make Europe a Wilder Place. Please feel welcome to have a look at how your inspiring rewilding initiative could become part of it, at www.rewildingeurope.com/rewilding-network/.